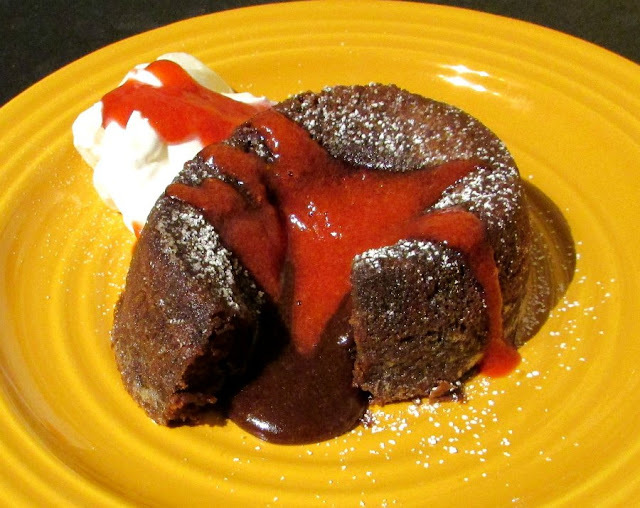 As you dig into this lava cake, the cakey exterior gives way to a warm chocolate lave interior. The luscious warm chocolate lava is sure to win your heart and that of your Valentine as well! Truth time: My husband has never taken me out for Valentine's Day. I know, gasp! The best part is I couldn't be happier about it. We almost never go out to eat, so I don't want to blow such a special occasion as a dinner out with long wait lines and no reservations to be found. We would both much rather celebrate at home and perhaps schedule a date night on a less predictable evening. So what does a perfect Valentine's Day look like at our house? Probably some steaks on the grill. One giant steak grilled to medium/medium-well for my husband. (Hey, it's better than the well done hockey pucks he was eating when I met him.) I prefer one smaller steak done rare. I need to leave room for the important stuff! In this case, chocolate. Preferably the warm and gooey kind. You know, the kind that bursts forth as you stick your fork into its cakey shell. The kind that is fudgy and rich and delicious. Most likely with a sprinkle of powdered sugar, a side of lightly sweetened whipped cream and if I'm particularly lucky a puree of strawberries. You know, that kind! Because that's what Valentines day is all about! Ok. There's the love and family stuff too. But mostly chocolate! Preheat oven to 425F. Butter four ramekins (I think ramekins in the 6-8 oz range would be best). In a glass bowl, microwave the chocolate and butter on high for 1 minute. Stir and microwave in 15 second bursts until the chocolate is smooth. Whisk in the powdered sugar, eggs, egg yolks and vanilla. Whip it by hand for a couple up minutes to make sure it is very well incorporated. Stir in the flour and pinch of salt to form a thick batter. Spoon evenly into prepared ramekins. Bake 13-15 minutes or until the edges are set but the center is gooey. It reminds me of a souffle as it bakes, it grows tall and will form a crust over the top. Let the cakes stand for a couple of minutes, then run a knife around the edge and invert onto a plate. Dust with powdered sugar and garnish as desired. serve while warm and delicious! 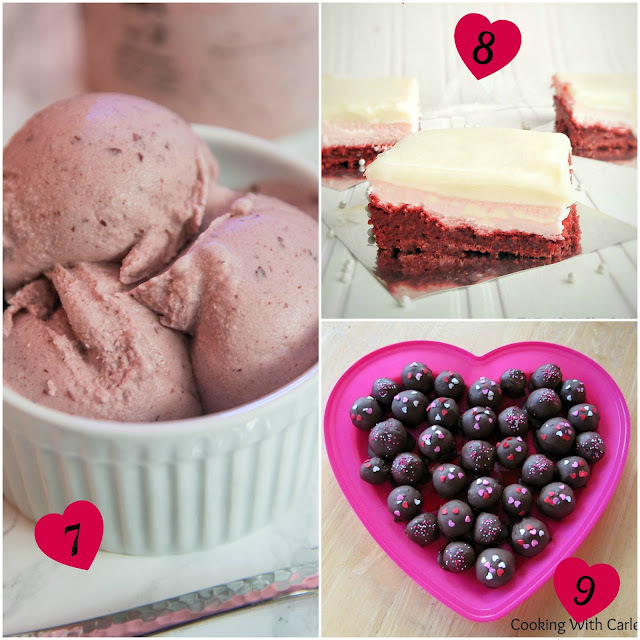 Now, here are some great Valentine's Day ideas from some of my favorite bloggers. It appears I am not the only one that likes a little chocolate to celebrate. I cannot wait to give these ideas a try. 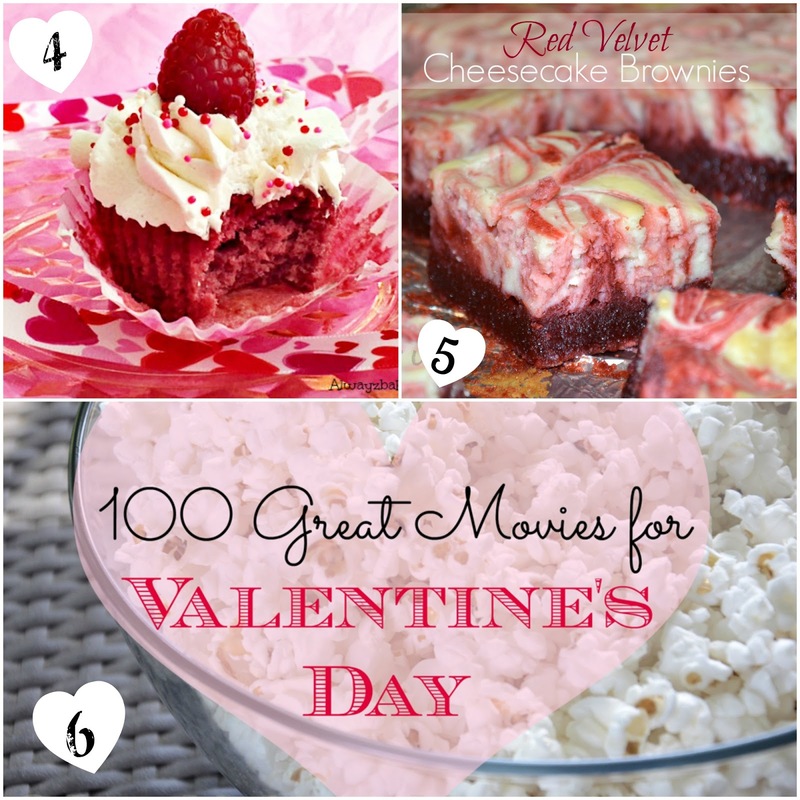 There are also some movie suggestions so you can cuddle up with your sweetheart and have a wonderful date night at home. 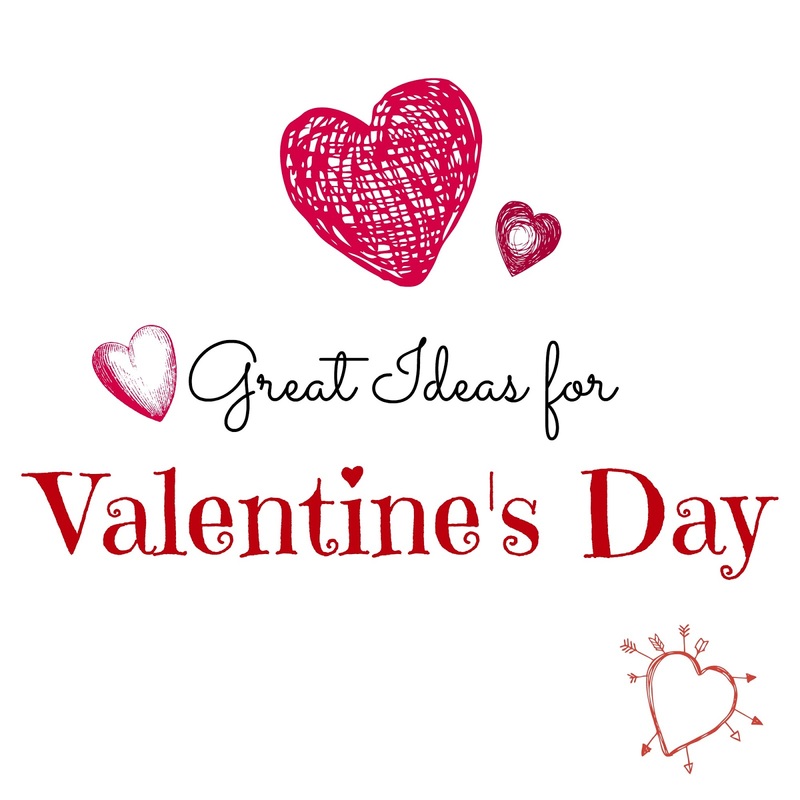 Now for the fun Valentine's Day ideas. I hope your sweet tooth is warmed up and ready to go! Nothing wrong with staying in on Valentine's Day all cozy! That is usually what we do as well and I love it too! 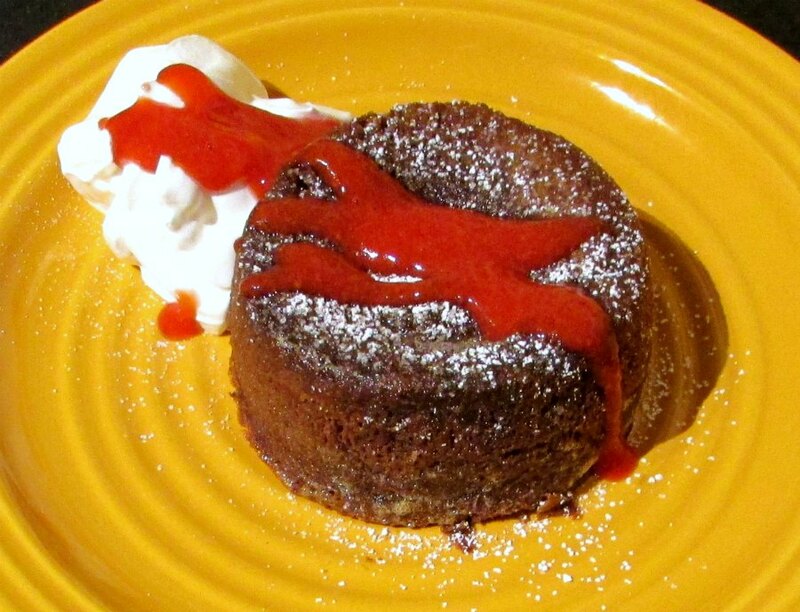 What I would love even more is to add those lava cakes to my menu, Yum Yum Yum! They are so good, Andrea! Yum, Yum, Yum!!! I can't wait to try some of these recipes! 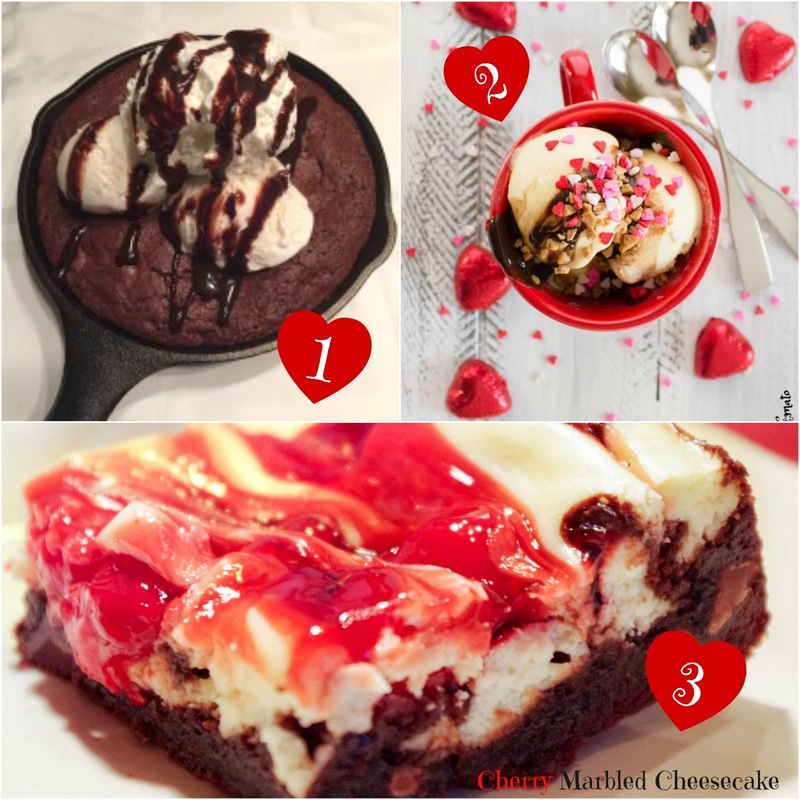 We love staying home too and just relax together…I will definitely be making the lava cake this Valentine's! Aren't there some great ones in there? I hope you love the lava cakes! I agree about going out to celebrate. I always feel better when i eat real food cooked without additives and preservatives. On top of that, I'd rather pay for ingredients. But I'll have to admit that sometimes i wish a little fairy would pop in and do the work. :-) Everything here looks scrumptious. As long as I have a good idea, I don't even mind making it. If your fairy could come over and clean up after me I'd be in heaven! Thank you! 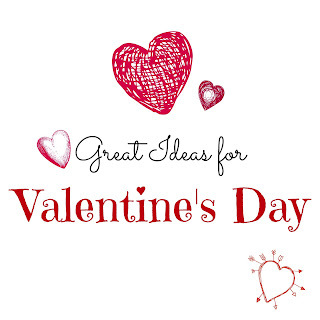 We are in complete agreement with you on that being the best way to spend Valentine's. I know my husband would love your Chocolate Lava Cakes. They would be perfect for the occasion! It isn't worth fighting the crown when you can have better food at home anyway! Lava cakes are definitely a good way to go! 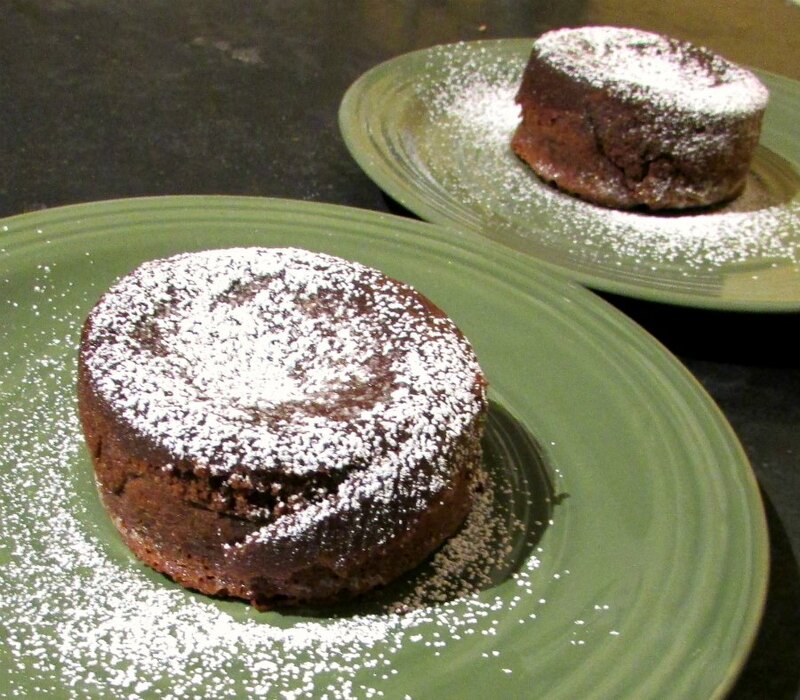 Carlee, these chocolate lava cakes are calling my name!! Now these are def something to look forward to for Valentine's Day. Pinning! This looks so pretty and sounds so delicious! Thank you, they were soooo good! I am sure you can!! I hope you give it a try! Great collection. I love chocolate any day of the year, but Valentine's Day is the perfect day to celebrate with some special chocolate! Me too, you never have to do much arm twisting to get me to eat chocolate! Thank you! 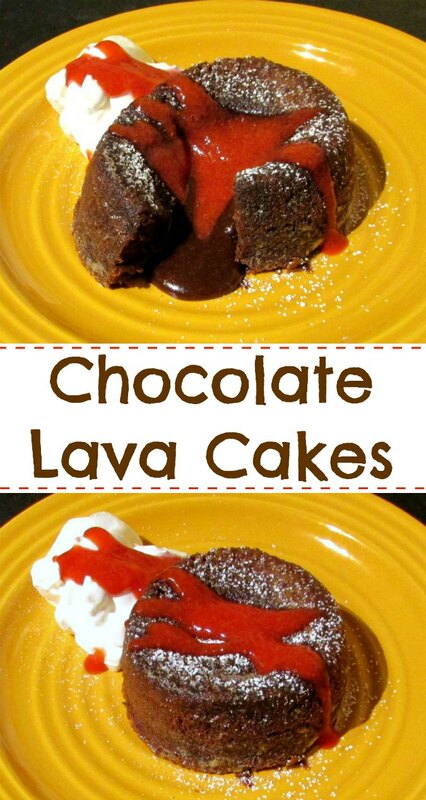 The lava cakes look so delicious! Pinning the recipe! And I love the additional ideas you shared, too. Thanks so much for stopping by Inspiration Thursday this week. Thank you! 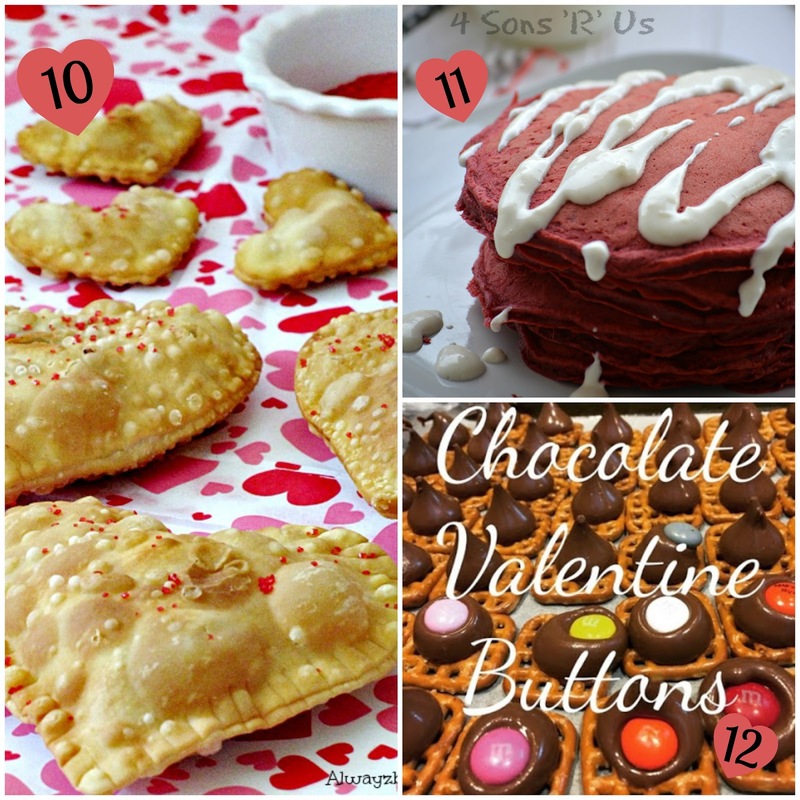 These are always a hit and really pretty easy to make! Thanks for hosting! Yum yum yum and what a dramatic presentation! Always love your baking creations Carlee, your husband is s lucky guy!!!! Oh my this looks good!! Thanks for sharing on the "Whats for dinner" linky! Thank you! We don't have them often, but love them every time we do! Oh Carlee, these lava cakes are gluten free! I think I'm in trouble! 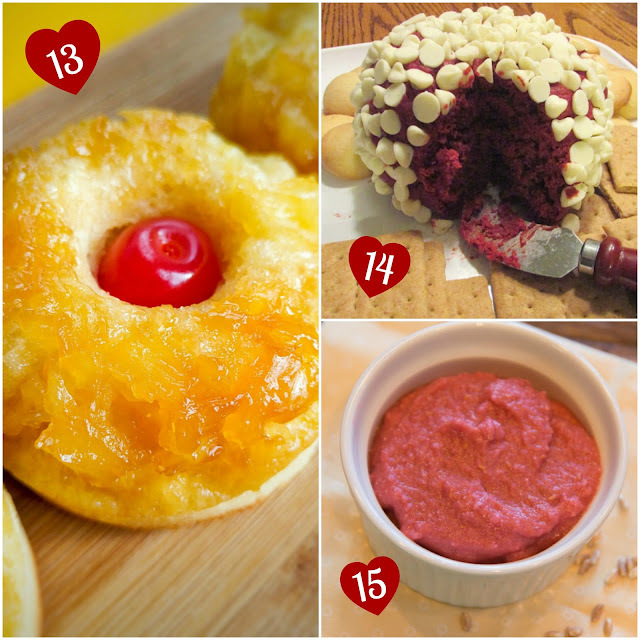 I may be making Valentine's treats all year round, starting tomorrow!!!!!!!! YUM! Ha! We have made them with flour and without and they work great both ways! I wish I could join you on the lava cakes every day journey! I love Lava Cakes, this looks sooooo good! Thank you so much for sharing with us for our 5th Anniversary of Full Plate Thursday! Hope you have a fantastic week and hope to see you again real soon! Congrats on 5 years, Miz Helen! Carlee, YUM! I was so focused on the Superbowl, VD day is sliding right up too quickly. What a great collection of recipes you have here! Thanks for sharing this with us on Throwback Thursday! Hope to see you next week! I know what you mean, this month is crazy! Super Bowl, Fat Tuesday and Valentine's Day all within a week! Thanks for the party, see you Thursday! Oh Carlee... That lava Cake looks to die for!! And so does all the other delicious dessert! Thanks for sharing on My 2 Favorite Things on Thursday - Link Party! I hope to see you again tomorrow! Pinned! I tried to at least reduce my sugar in February and did really good the first week, then the was paczki day, the super bowl and Fat Tuesday... next is Valentines Day. I don't know why I thought I could do it ;-) We would have so much fun together as neighbors! !